There was once an old joke alleging that the camel was a horse designed by a committee. 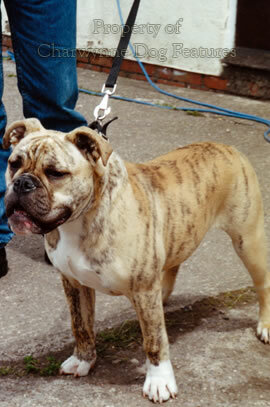 A comparable allegation could be made today: that the contemporary Bulldog is a baiting dog designed by a Breed Club, so 'unfit for purpose is this breed today. A similar jibe could be made of some other breeds too. 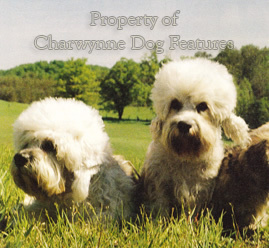 It could be said that the once game little Scottish sporting breed of Dandie Dinmont Terrier has become, after a century of Breed Club stewardship, the 'Top-knot Terrier', fancied more for its hair-style than its soundness. 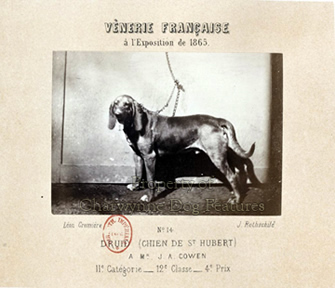 Along a similar line, some famous breed names could be taken away - because that breed no longer fits its own historic phenotype or displays true breed-type. 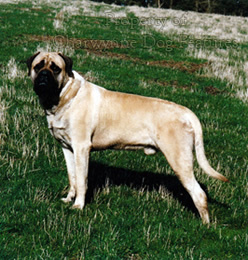 The breed title of Mastiff could be removed until this breed once again displays the genuine features of this breed; as a result the show-ring breed might be dubbed the 'Massive Dog' until true type is fully restored. 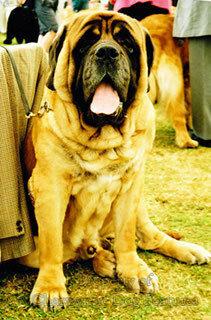 Today's show-ring Mastiffs are massive but they are not Mastiffs in any historically-accurate sense. 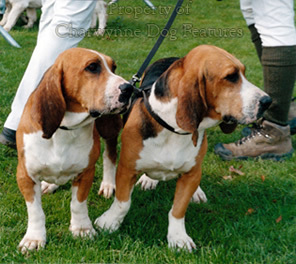 Similarly with the Basset Hound, the show type is truly unfit for purpose as a hare-hound; the breed should be renamed the Miniature Bloodhound and its former breed title be taken over by the English or Hunting Basset Hound, much more like a hare-hound, tested regularly in the field and not found wanting. The Dachshund, sadly, has already earned itself the title of 'sausage-dog' because it has been bred so long, low and so legless. 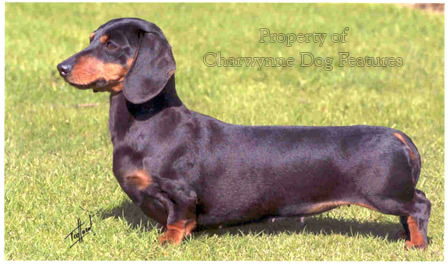 The breed name Teckel should be adopted and the public conception of this fine little breed as resembling an animated sausage corrected. These are all painfully exaggerated breeds; they must be recast. Thankfully, the Bulldog's salvation is already underway. 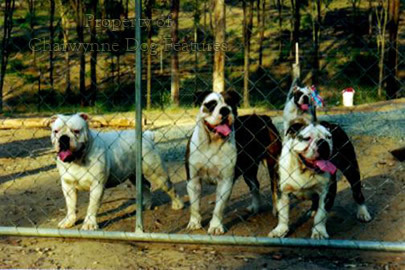 Fed up with the muzzle-less, waddling, deformed, so-called Bulldogs of the show-ring, enthusiasts of this great breed have been reshaping it for the last thirty years or so. 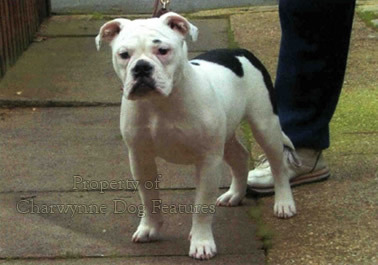 In Britain, the Victorian, Dorset and Sussex Bulldogs shame the show-ring breed. 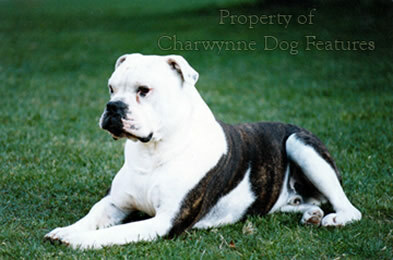 In America, the Leavitt Bulldog has shown the way in correcting untrue concepts of the breed. In Australia, the 'Aussie Bulldog' is deservedly gaining ground. 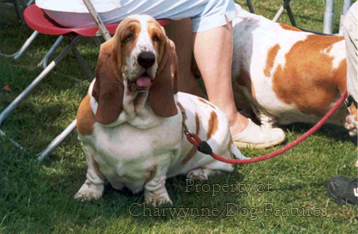 In Canada, the 'Olde Englishe Bulldogges' of Lolly Wilkinson in Vancouver are well established. 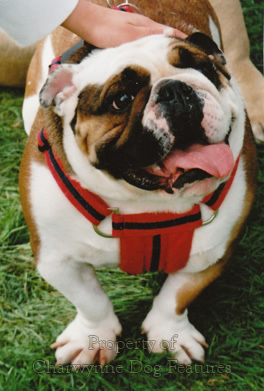 In Switzerland and Holland, similar healthier, much more active, better-headed Bulldogs are being promoted. It is possible to reclaim a breed! I have judged Victorian Bulldogs and been pleasantly surprised at their soundness, temperament and likeness to the original breed. This is so encouraging! 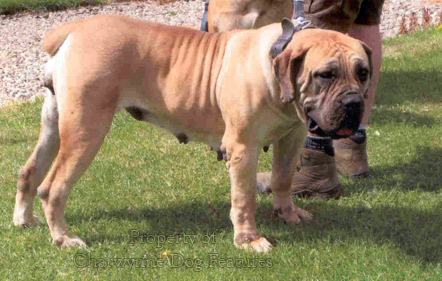 But I have become aware of real Mastiffs too - some hybrids, but some like the Gammonwood dogs in Australia and Lesley Thomas's 's 'Albert' here providing valuable breeding material - if only the Breed Clubs would act. 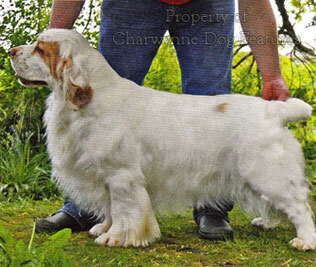 In the sporting dog world, does it make sense for two gundog breeds and a terrier breed to continue in that division when one, the American Cocker Spaniel is knowingly bred with physical features contrary to those desired in a working gundog, another, the Clumber Spaniel is bred wholly for show-ring purposes, whilst the unrecognised Working Clumber Spaniel, a far sounder dog, is widely used in the field, and a third, the Sealyham Terrier, is scorned by terrier-men, being replaced by the Working Sealyham, specifically bred for terrier-work, and which also goes unrecognised. Is the KC truly serious about the word 'sporting' in breed allocation to divisions in their registry? 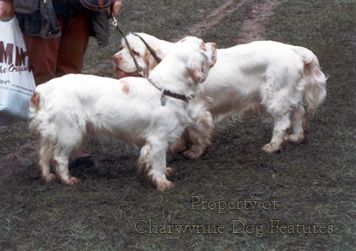 The Clumber Spaniel, the pedigree breed, now more like a 'Cumbersome Spaniel', should be relegated to the Utility Group and the Working Clumbers made the sporting breed of that name. 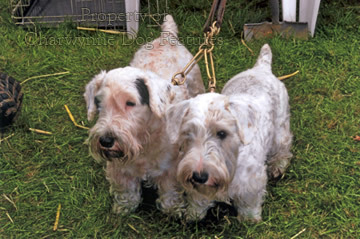 Similarly, since the Working Sealyham is the true dog, the Sealyham Terrier, as recognised at present by the KC should also go to the Utility Group and perhaps be renamed the West Wales White Terrier, leaving the working version as the true inheritor of the breed title. A truly working construction should decide the breed not merely breeding old stock to a flawed design. Regrettably, all these breeds are British; the continentals have long accused us of being the leading exaggerators, with some justification. 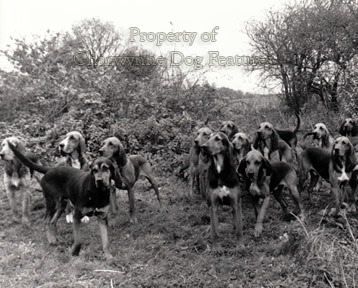 The Bloodhound, that is the show hound not the one in the packs, is also showing distinct signs of the overplaying of breed points. 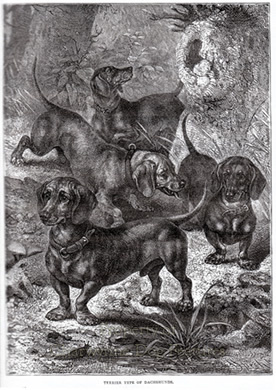 Old depictions of the breed, as well as the hounds of the packs, show no signs of the heavy wrinkling in the head and neck, or the sunken haw-stricken eyes now prevalent in the show stock. The latter is no longer the exemplar of this distinctive breed. 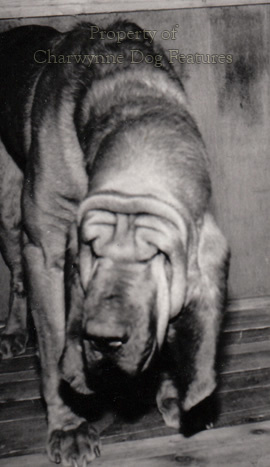 I have studied the Bloodhounds in the packs on several occasions but never once seen excessive wrinkling of skin or unsound eyes. How can the show Bloodhound be considered the true type in this valuable breed? Perhaps the latter should be renamed as Sleuth Hounds and go their own way, but surely not as sporting hounds; the hounds of the pack hold that title. But who owns the breed name? Breed clubs? The KC? Do these two organisations not owe such a breed its true type? St Hubert must be turning in his grave! 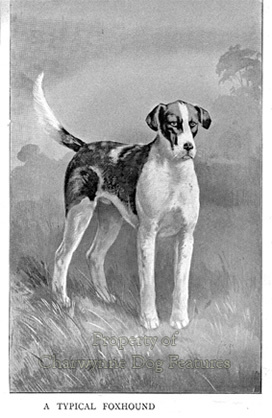 Of course, sporting dogs have been misguidedly bred away from the show ring, by the Foxhound pack zealots at the end of the 19th century for example. The absurd and ignorant desire for 'great bone' led to the pursuit of what one later expert described as the 'shorthorn' era, with whole packs featuring over-knuckled knees and excessively-heavy bone. Their equivalents today would be the Mastiff breeders who boast of their dogs' weight not their soundness or trueness of type. 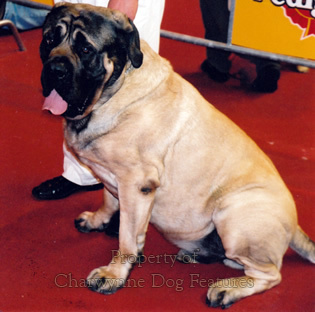 Mountain dogs need bulk; Mastiffs do not, they were once heavy hounds, never transhumance dogs. The breed title of Spanish Mastiff in Spain's flock-guarding dog does mislead Mastiff breeders; a re-titling would be a sensible way forward. 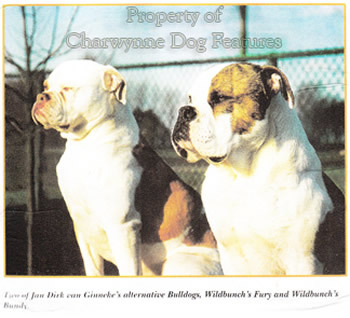 I went to a Boerboel show a few years back, where one exhibitor clearly sought heavy bone in his dogs, producing in what is a 'farmer's bulldog' a wholly untypical feature in this impressive breed. 'The bigger the better' seemed to be his motive, not the soundest and most typical specimens. 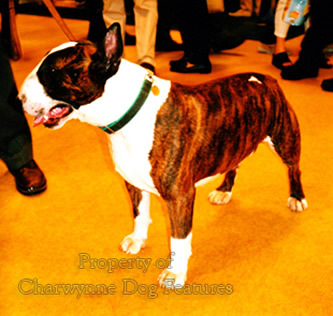 Personal interpretations of a Breed Standard or knowingly defying a breed's historical role undermine breed-type and reveal a distinct lack of breed honesty and true regard for a breed. The key question every breed fancier has to ask himself is this: Is my breed fit for purpose? 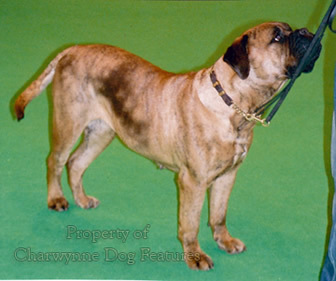 Some time ago, at Crufts, I asked a Bullmastiff breeder why he bred and exhibited dogs that were shorter-muzzled and far grosser than the Breed Standard laid down. His reply was both revealing and shaming: 'Because I like them like that!' And the judge actually placed his entry! My question was an honest enquiry into his motive not a rude comment on his dogs. 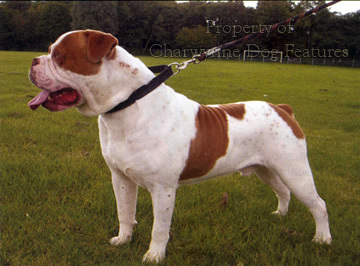 I am a great admirer of this breed and value its true type. Many of that year's entry of Bullmastiffs would not have lasted long as night-dogs, their classic role. 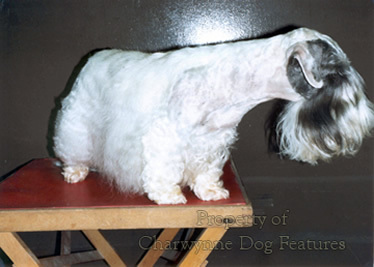 I once saw a mis-marked exhibit, with real quality, go unplaced at Crufts, probably because the coat markings displayed offended those living in a cosmetic world; I do hope this dog was bred from by an owner brave enough to exhibit it. It is for me a crying shame that a dog can win the breed title at a World Dog Show displaying the totally wrong breed-type whereas a fine example of the breed can go unplaced because of a minor cosmetic flaw. 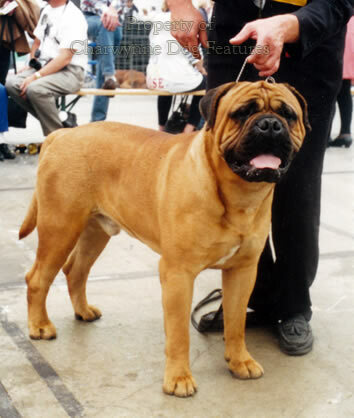 The French equivalent of our Bullmastiff, the Dogue de Bordeaux, has lost true type to the 'bigger the better' brigade, as the sad 'macho' approach to powerful dogs rears its ugly head again. But such criticisms are relatively minor when it comes to the sad decline of a once-magnificent breed, the German Shepherd Dog. The continental breeds of shepherd dog, whether in France as the Beauceron or in Holland or Belgium as their varieties of shepherd dog, should all feature similar silhouettes, as function decided their phenotype. 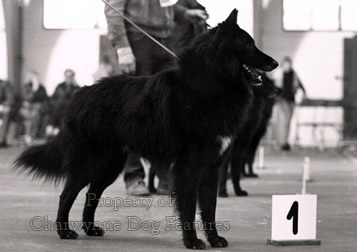 A Groenendael should resemble a black GSD; a black and tan GSD should look very similar to a black and tan Beauceron; they developed out of a pastoral function and were once famed for that capability. 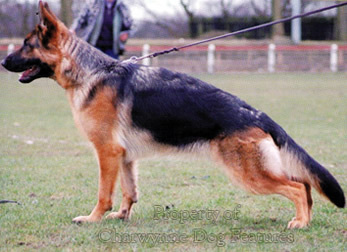 Altering the top-line and hindquarters of the GSD and then its gait and stance in the ring, at the modern demand of misguided fanciers, and in time their misguided clubs, tells you more about the arrogance and sheer folly of modern man than any other show ring diversion. For such foolishness to be endorsed by national kennel clubs tells you a great deal about their moral strength - or lack of it! I can remember 'Alsatians' that were simply superb dogs, used the world over as service dogs because of their ability and their robustness - not any more! 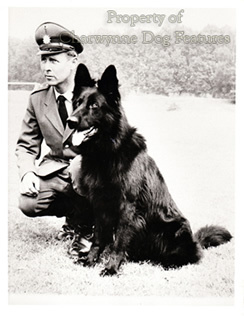 Armies and police forces right across the developed world have slowly and reluctantly given up their pure-bred GSDs, either to breed their own type or to substitute the Malinois or another alternative breed, not ruined by fad. Breeds used as service dogs have to function! At a British championship dog show, a terrier-breeder once explained to me, quite forcibly, that he wasn't after an earth-dog, didn't want his dogs to 'go to ground' so why should he breed for function? For me that was a complete betrayal of his breed, the function gave him breed-design and breed-type. Why sacrifice something truly precious for contemporary whim? I asked just what he was breeding for and he, with distressing honesty, casually replied 'a dog that can win'! His dogs were handsome and well-presented, but, with their upright shoulders and short backs could never be terriers. His breed, the Smooth Fox Terrier, is steadily being replaced by the Parson Russell Terrier at shows and by the Plummer Terrier in the field. For the last five years, the breed of Smooth Fox Terrier, has mustered less than 150 registrations a year and is now on the Vulnerable Breeds list. When I was a boy Fox Terriers were everywhere, they were the common terrier of England. Not any more! But they are still worked in France - and bred for function. But for me the sporting terrier breed most spoiled in the modern era is the Bull Terrier, quite unlike its original type, due entirely to the machinations of one Breed Club, who decided this fine breed should have the head of the Cheviot sheep! Whatever happened to breed-type, breed-loyalty and faithfulness to the old Breed Standard (which was soon amended to suit a clique and endorsed by a weak compliant KC). If this Breed Club had been attempting to breed out albinos or unwanted aggression in a former dog-fighting breed, they would have my full support but this was a complete betrayal of a breed's true type and to me thorough misuse of office by the officials of this Breed Club. 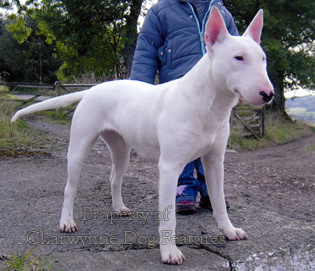 In the show rings of today, any Bull Terrier not displaying a sheep's head would be thrown out of the ring; in 1920 a sheep-headed Bull Terrier would have been laughed out of the ring! Such is progress! Luckily, a group of enlightened breeders, led by Lyndon Ingles in Wales, are restoring true type in this fine old English terrier breed. Does it really matter if true type is not maintained or respected? Shouldn't show breeders/exhibitors be free to exhibit the specimens they favour? If the general public buy the offspring of these dogs and prize their pedigree, who loses? The answer is that dogs lose out in every one of these questions being asked. True type and historic form have a dynamic link with function and the pressures for soundness this instils. 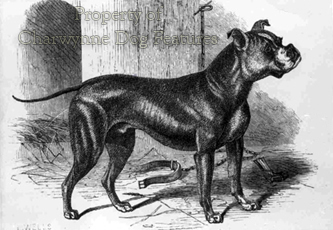 Breeds developed from function not human whim or some passing fad and that brought anatomical soundness with it. That factor gave us the precious breeds we treasure in a form that is best for their needs! Our ancestors sought physical soundness and a functional capability in their dogs because that provided them with the best dogs. We can ignore their judgements and their acquired wisdom - but at not our peril but that of our breeds of sporting and working dogs. 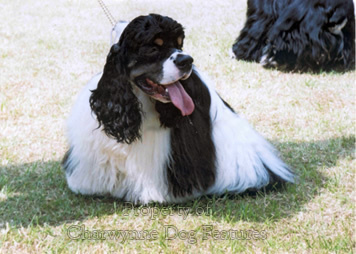 Old breeders, before dog-shows were held, expected their dogs to earn their keep and developed the dogs, then the breeds, to ensure just that. In modern times, the noble and often inspired work of Bulldog restorers like the late Ken Mollet with his Victorian type, Lolly Wilkinson in Canada with her Olde Englishe type, the admirable Australian type of the Greens, the Dutch and American types of Gimmecke and Leavitt respectively, as well as the Dorset and Sussex strains, show the way ahead. No doubt mocked and vilified by the pedigree Bulldog lot, they deserve every plaudit we can muster and anyone matching them or joining them merit our best support. Breeds need conserving - but only in the right mould.